In this volume Robert Davidson examines Jeremiah's uncomfortable relationship with the political and religious establishments of his day. He guides us through the prophecies given in the last years of Jerusalem, the account of the fall of Jerusalem, the oracles against foreign nations, and a final historical appendix. 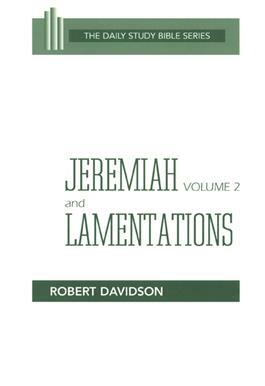 In discussing Lamentations, Davidson states that in this biblical book are found "not only moving and passionate expressions of grief and sorrow, but also of faith.. Such faith was only possible for those who took seriously what Jeremiah had all along said about the inevitable working out of God's judgment upon Jerusalem."